Are you looking for a way to teach your kids their letters, but you don't want to stay cooped up inside all day? 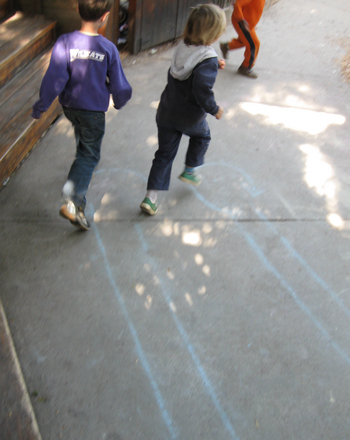 Get them outside and start a rousing game of alphabet tag! 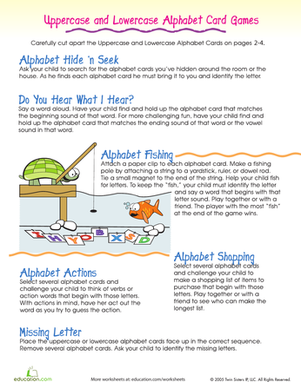 Kids boost letter knowledge as they get exercise and play a fun, new game at the same time. Choose one person to be "it." Like regular tag, the person who's "it" runs around and tries to tag the other players. If he succeeds in tagging someone, that person becomes "it." 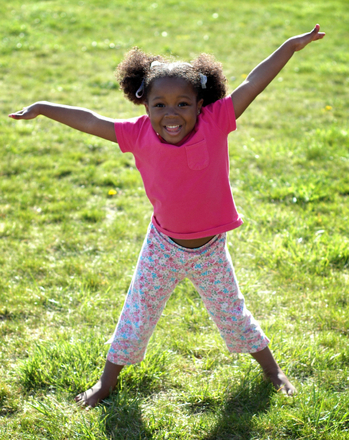 If a child is about to be tagged, she can avoid becoming "it" by shouting out a safe word. The first safe word is any word that starts with the letter A. The next safe word starts with the letter B, and it continues on through the alphabet. If a child can't think of a word before she gets tagged, or if she says a word that starts with the wrong letter, then she becomes the next "it." If you want to mix it up, try a different version of the game. Pick one letter to use through the whole game, and every safe word needs to start with that letter, no repeat words allowed. How many different words can you think of that start with B? After the first few words, it gets trickier and trickier, and laughs are sure to follow. 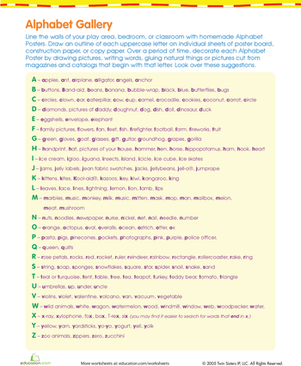 , this following directions tag game focuses on gross motor skills, but to the theme Itsy Bitsy Spider. Fun indoors or outside!